Janet Simmons, 85 years, of Jacksonville, Florida and formerly of West Unity, Ohio passed away Saturday, November 10, 2018 in her residence at Brooks Bartram Lakes Assisted Living in Jacksonville, Florida. Janet was born September 11, 1933 in Stryker, Ohio, the daughter of the late Emerson and Coral (DeGroff) Planson. She was a 1951 graduate of Stryker High School. Janet worked as a toll collector for the Ohio Turnpike Commission for over 20 years. She previously worked as a secretary for Westfall Realty. 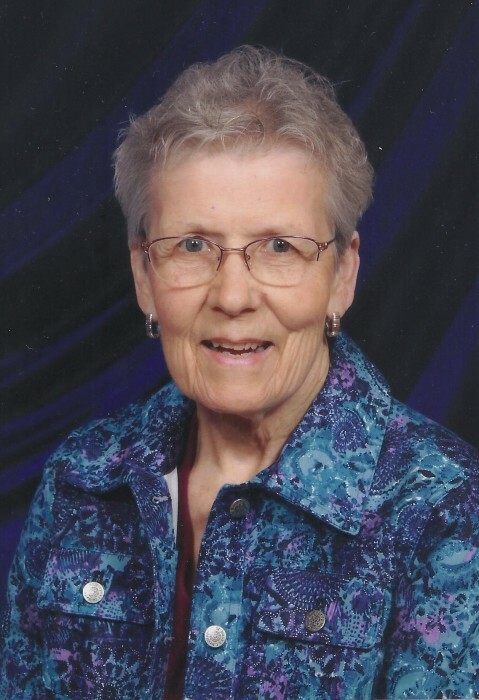 Janet was a member of West Unity United Methodist Church, Three Arts Club, Bridge Card Club, and Past-President of the United Methodist Women. In her free time, Janet enjoyed water skiing, fishing, golfing, bowling, sewing, card playing, playing bingo, listening to live music and reading. She especially cherished her time spent with her family and friends. Surviving are her three daughters, Linda (Ron) Kolb of Ney, Ohio, Brenda (Deb Zimmerman) Simmons of Monclova, Ohio, and Beth (Dr. Andre) Gaulard of Jacksonville, Florida; eight grandchildren, Tom (Tracy) Dohm of Jessup Georgia, Stephanie (Shawn) Ramey of Ney, Ohio, Tara (Todd) Shininger of Ney, Ohio, Dave (Nicole) Zimmerman of Little Elm, Texas, Dr. Amy (Brett) Blevins of Ypsilanti, Michigan, Noel (Molly) Gaulard of Bryan, Ohio, Dr. Natasha Musser of Jacksonville, Florida, and Austin (Diane) Musser of Jacksonville, Florida; 17 great-grandchildren; two great-great-grandchildren; three nephews, Bill Hancock of Ridgeville Corner, Ohio, Tom Hancock of Indianapolis, Indiana, and Ron Chamberlain of Montpelier, Ohio, and niece, Sheri Rehklau of Camden, Michigan. Janet was preceded in death by her infant son, Michael Allen Simmons; sister, Phyllis Hancock; two brothers-in-law, Bob Hancock and Chuck Chamberlain; two sisters-in-law, Marcella Chamberlain and Fern Chamberlain, and long-time companion, Les Hake. Memorial Services for Janet Simmons will be held Saturday, December 1, 2018 at 2:00 p.m. in Oberlin-Turnbull Funeral Home, 202 North Liberty Street, West Unity, with Ted Mathes officiating. Visitation will be held one hour prior to the service in the funeral home beginning at 1:00 p.m.
Those planning an expression of sympathy are asked to consider memorial contributions be made to West Unity United Methodist Church, 311 North Liberty Street, West Unity, Ohio 43570.